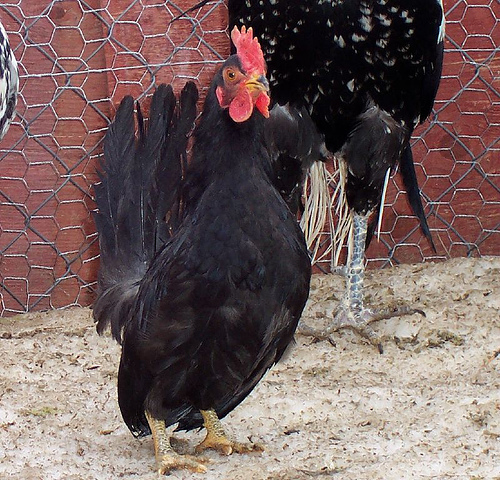 The poultry world uses the term “bantam” incorrectly to describe a miniature version of a standard bird. 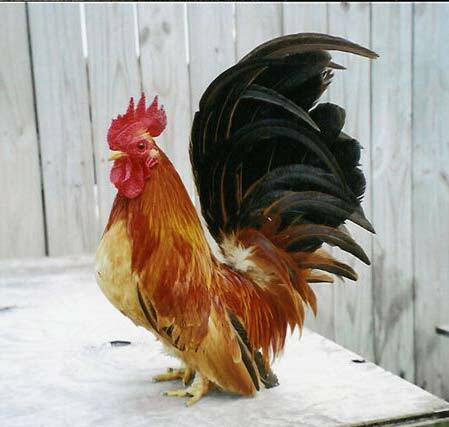 A true bantam, for example, the Japanese Bantam has but one size. Japanese Bantams have two functions—show bird and pet which they do well. Warm weather fowl, they function best in warm, clean confinement. Japanese Bantam can go outside. In fact, they love to forage in the lawn and do so without damaging the garden or yard. They help rid the soil of insects and weed seeds. Although small, Japanese Bantams have all the character and color of a standard size fowl. The Japanese bantam also has a voice equal to a standard chicken. The rooster can make a very loud and shrill noise. Japanese Bantams can live thirteen years and will give a family many years of fun filled enjoyment. Japanese Bantams have a calm, trusting, friendly personality. They will ride on a shoulder, sit in a lap, and submit to petting. Although docile as individuals, the roosters will fight if they find to many of them in the same flock. The hens gently brood and protect their chicks. Handled young, the Japanese Bantam tames easily. The Japanese Bantam has seventeen different accepted varieties. They all weigh approximately a pound with large upright tails that reach over their heads; large combs, wattles, and earlobes; long wings that touch the ground; and very short legs. 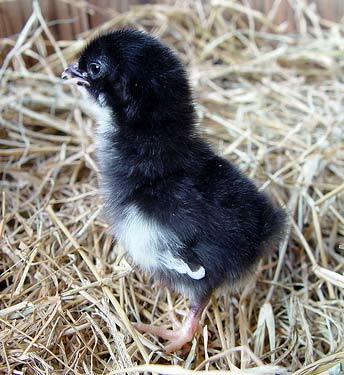 Genetically Japanese Bantam chicks have a slim chance of meeting breed standards. One fourth of them die in the egg. Another fourth have legs too long for breed standards. Japanese Bantams have a broad build and with the short legs tend to waddle like ducks. Japanese Bantam have lived in Japan for at least 350 years. 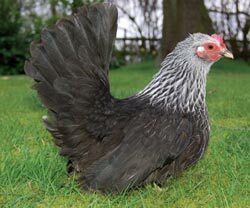 Breed historians believe that the Bantam originally came from Malaysia and Java. In many parts of the world they go by the name “Chabo” which comes from a similar term in Java and means “dwarf.” Historians believe that Dutch spice traders carried Chabo from Southeast Asia to Japan as gifts to the Japanese. The breed caught on in Japan and flourished. The American Poultry Association (ABA) admitted the Japanese Bantam in 1914 and lists them as one of the top ten most popular breeds in the world.